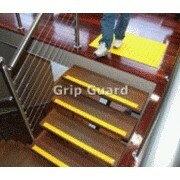 Deck Tread anti-slip pads provide extra anti-slip protection. 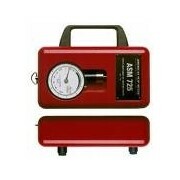 Made from a tough-wearing combination mixture of cork and rubber. 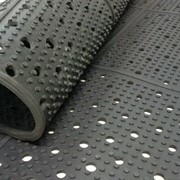 Deck Tread’s diamond shaped studs improve surface friction that provides safety underfoot in wet and dry conditions. 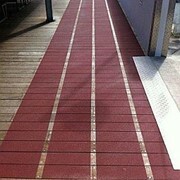 and wherever a sure footing is required. 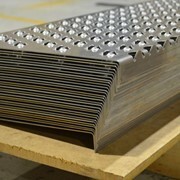 The diamond studs help grab your feet or shoes. 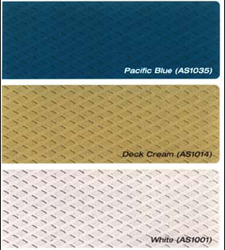 Slip resistance of Deck Tread - Self Adhesive Ant-slip Pads: Deck tread is R12 rated in accordance with AS/NZS 4586-1999 slip resistance of new pedestrian surfaces. 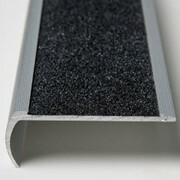 Chemical resistance of Deck Tread - Self Adhesive Ant-slip Pads: Deck Tread is resistant to most common acids, alkalis, oils and greases. 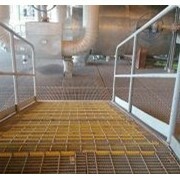 Manufacturers & Suppliers of Anti Slip Safety Products for Floors, Steps, Stairways and Walkways How can you prevent falls? 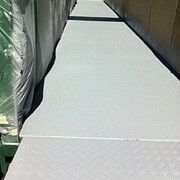 The answer is to call in the Floorsafe anti-slip Specialists! 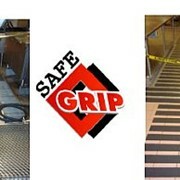 Slippery floors are extremely dangerous and many thousands of Australians are injured every year from slip & fall accidents on wet slippery floors. 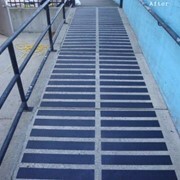 The answer to reducing the risk of a slip/fall accident is to call your local Floorsafe technician. 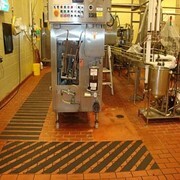 The Floorsafe anti-slip system treatment will provide outstanding underfoot safety on all slippery surfaces such as: ceramic, quarry & mosaic tiles, granite, porcelain, terrazzo and concrete surfaces. 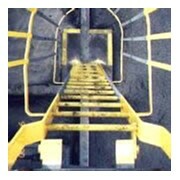 Kitchens, bathrooms, showers, laundries, pools, patios, steps... in fact anywhere a floor surface is a slip hazard (especially when wet) - inside or outside. 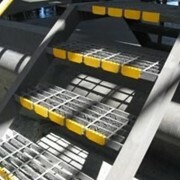 Floorsafe is not new, its been making slippery surfaces anti-slip safe since 1987. 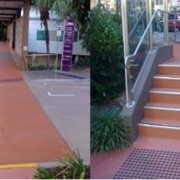 Floorsafe's unique three & four step anti-slip system is currently being installed in many state and local government departments, disability services, community housing, health & aged care organisations, hospitals, nursing homes, hostels, retirement homes and many other industries throughout Australia. 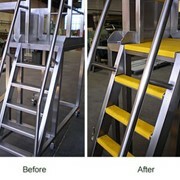 Mention IndustrySearch so Floorsafe International can best assist you! 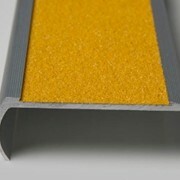 Get a callback from an expert at Floorsafe International to help answer your questions.